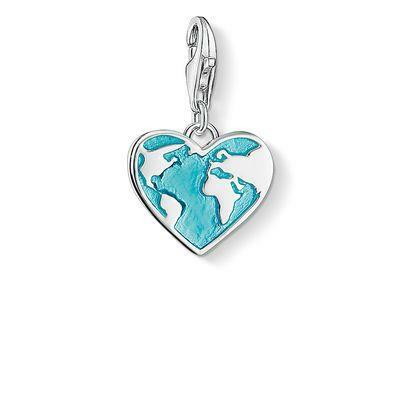 This Blue Globe Heart Charm is a wonderful addition to your collection. Made from Sterling Silver, with Blue Enamel detail. This charm symbolises positive energy and universal love. Wear the Blue Globe Heart charm on a Charm Club bracelet or necklace to add some colour and texture to your look.